All the people and travelers visiting Dubai should keep it in mind that the city is generally warm and hot. Even in the ‘winter’ months, which starts from December and end on March, the city is warm. But during this time, Dubai Shopping Festival takes place that happens to be a paradise for Shopaholics. Not only that, people from all around the world visit the great city just to attend this festival. The festival first took place in 1996 and was planned by the government of Dubai. At first it was a small festival, but now it has turned out to be a shopping, ethnic extravaganza, and amusement that takes place annually. Millions of people come to attend the festival and therefore, encouraging sightseeing of Dubai. Airline companies help the people by reducing air fares to Dubai. The festival entertains all types of crowds: musics lovers, adventure or sports lovers and even families on a visit. Skywards Dubai International Jazz Festival – festival exclusively for jazz lovers. It is arrange annually in February for 9 days. The jazz lovers are given the chance to enjoy themselves in the concert of jazz singers such as Jason Mraz, James Blunt and Morrison. The festival features shows that are shown live and performances in the streets that goes on for nine days non-stop. Emirates Airline Festival of Literature- the festival features books that are on display and put on sale. The feature is also known by the name “first literature festival”. Visitors attending the festival can enjoy at the workshop classes related to literature that are open for everyone. Tate of Dubai – the festival takes place annually from 8th March to 10th March. The festival occupies Dubai Media City’s amphitheater. The tickets to the festival are easily available on-spot. It starts from 10 a.m. and end after 12 hours, at 10 p.m. People visiting the festival can view live performances in Taste Chef Theater and also, they can learn new ways of cooking from the Taste Cookery School. In each day of the festival, people can enjoy themselves smoking the traditional Shisha placed in the traditional Arabian atmosphere at the Taste Shisha Lounge. Dubai Football 7s – the event takes place at the start of March. In this event, football players come together to form teams and play matches on Fridays and Saturdays. During The Sevens, public and spectators can enjoy themselves with the entertainment shows during the game. Airline companies have arranged special cheap air fares so that matches can be watched live with ease. The Chill Out Festival and Emirates International Peace Music Festival– Even though both of these festivals have different style of music, they are enjoyed by everyone and are famous in whole Middle East. The festivals take place in March and April. In the Peace Music Festival, people can enjoy listening to Music played by young experts who do a really good job. At Center Point Theater, one can listen to orchestras. As for the Chill Out Festival, it is for the young people and teenagers as famous DJs are invited and they entertain the crowd at Palm Jumeirah. The festivals and events in Dubai do not end here. 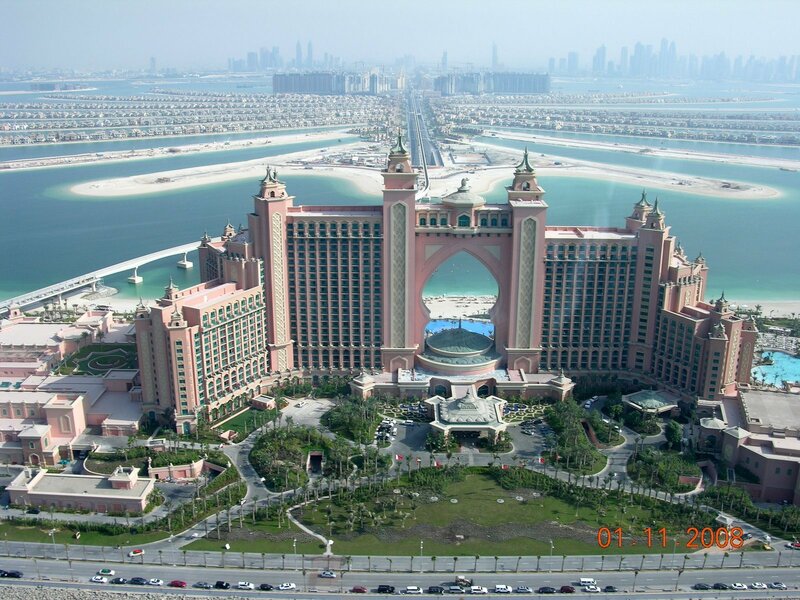 Dubai is a world famous city and is a home to some of the world famous personalities. In Dubai, events go on throughout the year that is related to sports, fashion, music and much more. So all that is needed is to pack the bags and book a cheap ticket to Dubai which their government is offering. That is one magnificent architectural design there. It just look so awesome. I would really love to be able to stay in that hotel. That would be an awesome experience for sure.